Heather Farquhar Realtor – Sherman Oaks Homes For Sale. Heather’s clients describe her as tenacious, honest, and consistent. Moreover, she takes great pride in these attributes. 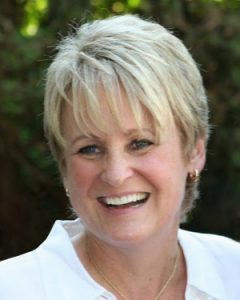 A licensed Realtor since 1988, Heather is a multi-million dollar producer and is e-PRO certified. She understands there is more to real estate than showing houses. Heather came to real estate in 1988 with experience in the business world having owned nightclubs in her native Canada. She trained and worked under one of the San Fernando Valley’s Top Agents, absorbing twenty-three years of real estate experience. Heather is e-PRO certified by the California Association of Realtors® and is efficient at using all the new technology necessary to help buyers and sellers in today’s market. Heather’s websites rank high with the search engines giving her listings more exposure and therefore attracting more buyers. Today, at Keller Williams, Heather uses that experience to give her clients superior service and outstanding results. She has a reputation for negotiation and problem solving skills as well as an ability to sit quietly and hear what her clients have to say. Heather has it right: repeat business and referrals account for more than 85% of her annual sales volume. Heather takes great pride in what she can offer her clients. If you want a Realtor who values commitment, honesty, knowledge and professionalism.